Bob Cobbing, the internationally-celebrated soundtext poet, performer and publisher, died in the early hours of Sunday 29th September 2002. 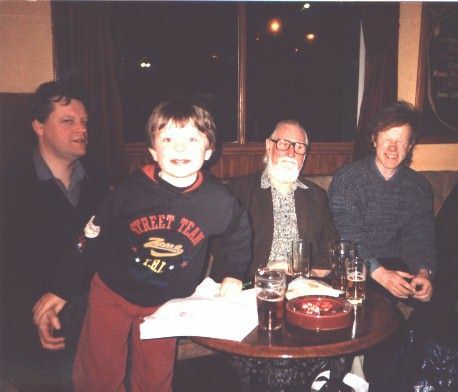 This is a quick page of links and photographs assembled in Bob’s memory; some writing about Bob can be found elsewhere on this site. Follow this link to view the Guardian obituary of Bob Cobbing. etruscan books publishes Bob’s Shrieks and Hisses: collected poems vol. 16 and kob bok: selected texts 1948-1999 (if any of these are sold out, try Small Press Distribution in the USA). 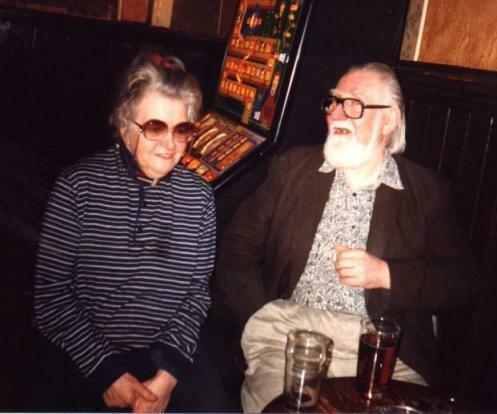 Jennifer Pike and Bob Cobbing, London, 18th March 1995. I took this photograph after reading in London for the first time, at one of Bob’s Writers Forum workshops. 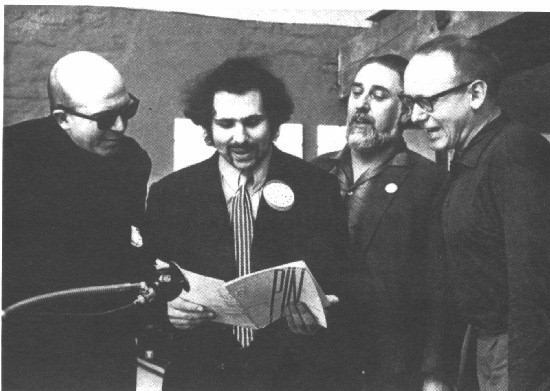 This photograph was taken the same day, and shows (l-r): Robert Sheppard, Stephen Farrell Sheppard, Bob Cobbing and A.W. Kindness. 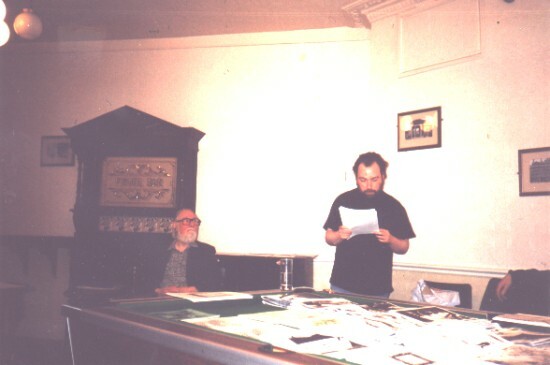 Bob Cobbing and Peter Manson, Writers Forum Workshop, The Victoria, Mornington Place, London, 18th March 1995 (photograph by Eilidh Whiteford). 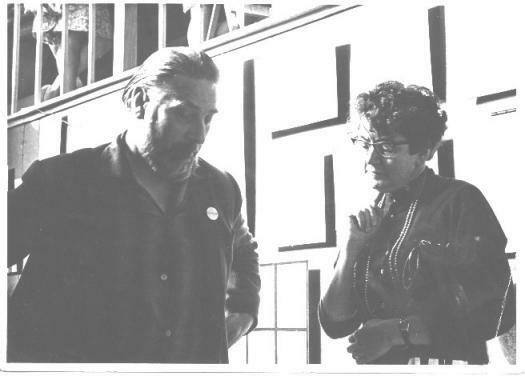 Bob and Jennifer at a poetry festival in the mid-1960s. Photograph by John Bennett, courtesy of the poet Hayden Murphy. (l-r): dom silvester houédard, Pete Brown, Bob Cobbing and Ernst Jandl performing the Kurt Schwitters sound poem Fury of Sneezing at Arlington Mill, Bibury, Gloucester, June 1966. This photograph by John Bennett appeared, courtesy of Hayden Murphy, in issue 4 of Object Permanence magazine. 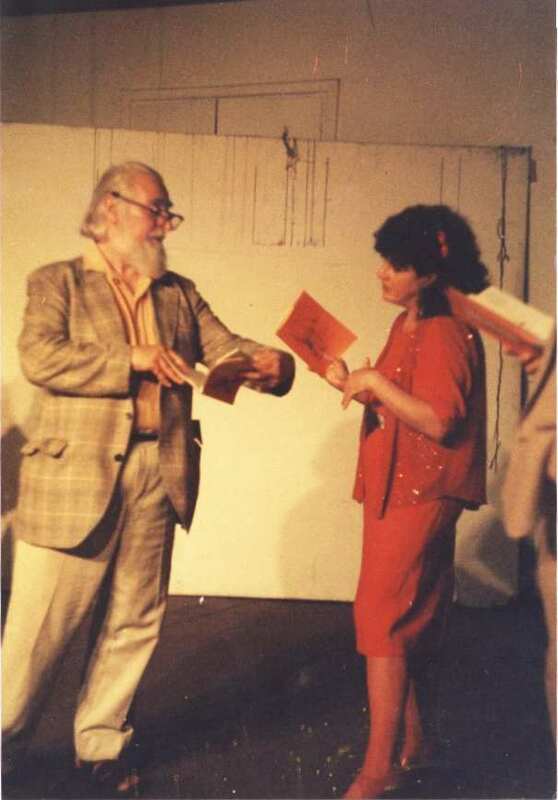 Bob and Maggie O’Sullivan reading from O’Sullivan’s A Natural History in 3 Incomplete Parts at the London Musicians Collective, 9th September 1985. Photo courtesy of Maggie O’Sullivan.